Life is hard. But do you ever take a minute to stop and smell the roses? If you haven’t for a while, you might want to put it on that busy agenda of yours. In fact, I have three major reasons you’ll want to take more time to enjoy the little things in life and to think more positively. Now, it’s no surprise that keeping a positive attitude might not be easy these days. You live in a high-stress world where illness, fear, and the nightly news can beat you down in a hurry. So, walking around with a cheerful disposition may seem like more work than it’s worth. But, can an optimistic outlook offer some real long-term health benefits? Benefits that not only help you get through a tough day or event, but also lower your risk of heart disease, keep you out of the hospital, and help you live longer. If so, would you take a little more time go out and enjoy the fresh scent of a beautiful rose? 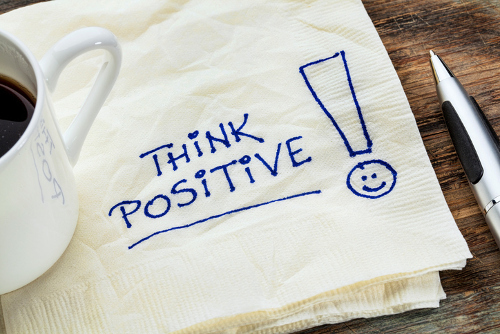 A positive attitude may help reduce the risk of heart attacks and the need for follow-up coronary surgery. At least two studies featuring over 600 people requiring heart surgery showed that those who maintained a positive disposition before and following their procedure were far less likely to require rehospitalization, follow-up surgeries, or experience additional cardiac events during recovery. Furthermore, one study showed that pessimists were three times more likely to have heart attacks or require repeat surgeries. Blood pressure is another major health concern in America, and it plays a big role in overall heart health. But, research studies have indicated that optimism can reduce blood pressure, thereby lowering the risk of heart attacks and heart disease. Scientists evaluated 616 middle-aged men who had normal blood pressure at the outset of the study. They each had their mental outlook and cardiovascular disease risk factors assessed and were then tracked for four years. And, guess what? Men who were pessimistic were far more likely to develop hypertension than their more cheerful counterparts, even after other risk factors were taken into account. There are also strong links between optimism and living a longer and healthier life. One study looking at 2,300 older adults showed those with a positive disposition were far more likely to maintain overall good health and live independently compared to their peers who were a little less chipper. So, as you can see, staying upbeat can have some major payoffs. But the reasons why are still a little bit misunderstood. I think part of the reason is that people with a positive outlook tend to experience less stress and are more confident and willing to participate in activities and hobbies that make them feel good. It appears that a positive outlook and a healthy lifestyle work together to promote health, balance, and longevity. So, change your habits and think your way to better health! And smell that rose! “Optimism and your health,” Harvard Health Publications, May 2008; http://www.health.harvard.edu/heart-health/optimism-and-your-health, last accessed July 25, 2017.